Company driver Vs. Lease operator. The Schneider IC Choice drivers have a very lively online presence ... which I have followed for some time, now. There you will find many O/O and L/O drivers that are still happy, with 2 or more years on board. I remember that one... Great soundtrack... AC/DC "Who made who." In the immortal words of Gus Fring.... "A man provides. And he does it even when he’s not appreciated, or respected, or even loved. He simply bears up and he does it. Because he’s a man." TIme to get off the pot and get going man. Not sure why you passed on YRC. It's a good job for a guy right out of school, ... especially for someone with a family that wants to be home as much as possible. But, maybe being gone awhile will work out better for your family... Lord knows, I wished that my Dad had been gone away from home more when I was a kid. So, it might be a good thing... if your wife has things under control at home. When you've got a wife and kids you don't really have the luxury of waiting around for the perfect job. Just get to work and don't let the small stuff there bother you. Here's a kind of different reply. I've been active on TT for nearly a year. In that time at least three members took up a lease, and promised to keep us updated and share their numbers. All of these people have disappeared from TT. That says something itself. There are many possible explanations for that... maybe they are too busy now for chatting on the internet. Maybe they moved on to forums that are more geared towards lease/owner operators. Or, maybe they failed miserably and they're too embarrassed to show their faces around here anymore... we just don't know. However, there are also some lease/owner guys here that still participate. Isn't Bud a lease operator at Prime? I think he has posted some numbers... and making more than he did as a company driver, if I remember correctly. Wasn't Ernie a lease guy at Prime too? There was also Steve Marshall, Prime company driver turned successful owner. After the reception he last got here, he might not be back though. Im currently under contract with CRST but do to custody battle and wife pregnant with complications I need to be home more hell need a job close to home because im out a month at a time and home 5 days then back out. Its beginning to be hard on my son with my mom having him with no help until i finish contract. I want to finish because i dnt a bad rep over my name but my family needs me to be there more. I understood what i was getting into once i took the contract but things became more difficult at home since then. What should i do? U think CRST would let me go without putting anything bad over my head to keep other companies from hiring me? If I were in your shoes I'd do as others have suggested... If I couldn't get anywhere with the DM, I'd go up the chain. If it was a brick wall all the way, then I'd continue to work while searching for a job that got me home. (Actually I'd be searching right now.) When I found what I needed, I'd give crst notice and ask how much I owe them to buy out the remainder of the contract (I'm assuming they would allow that)... And I'd pay it right then or make arrangements to pay it off as quickly as possible. This would be an honorable resolution. The 15% give back is enough for me to not wanna work at YRC. I don't understand why that should bother someone in Tyler's shoes (let's not lose track of the reason for this thread) ... YRC was one of the highest payed trucking jobs at the time this happened... in fact, they were paying their drivers about 15% above market at the time. The current pay is respectable for LTL, plus free health care. Overall it's still a very good compensation package for a truck driver. Just to say for comparison. I have a offer from YRC but I would love to get into Conway as Conway is much closer to home. Now granted Conway is driving to a terminal and then working the docks for a while then driving back to your home terminal. Now for the comparison. Conway is starting at nearly 4 bucks a hour more then YRC and that does not include the 15% give back. Yes I know for Conway they are not union, no pension and I pay for insurance. Then on balance, it's looks like a wash ... compensation wise. He has been there almost 20 years, is near 50 and cant just quit and start over. This is BS. Many of us at that age have had to reinvent ourselves in this crappy economy. I have no sympathy for anyone who says 'I can't quit my job' because they have too much invested. The old days of cradle to grave employment are long gone. Unless you work for the government. No, it is not BS. If he were to quit and go to another trucking company, he would have to start over at the bottom of the pay scale, would lose all the vacation time he had built up, etc.. This is not something unique to trucking, of course. People in any line of work invest years of their time and labor to get to the top of the pay and benefits scale. And, at some point they DO have too much invested where they are for it to be practical to quit and start over somewhere else. Maybe this guy has a family that depends upon the income he presently earns. 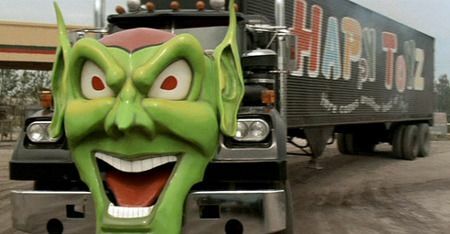 I applied for a position with a trucking company for a open position. The date the position was posted is from January but I thought what the heck. I get a call from a recruiter. She asks me a few questions about my resume and where I went to school. She then tells me this is a direct hire position and she would like to offer me he position and will email me the offer and a link to fill out a few more things. Once I complete that I will be sent for a drug test. I would be surprised if that is all there is to it. After you pass the drug test they will probably have you come back for a road test, at least... Then you'll have the job. That's how it was at the Indianapolis terminal where I interviewed awhile back. I wouldn't let that 15% giveback bother you so much... You'd still make a lot more at YRC than as an entry level otr driver... And the health insurance is at no cost and pretty good I hear. Normal as can be, Tyler. I think every new driver feels totally exhausted after their first driving sessions. Mine, in school, usually lasted about two hours and I felt completely worn, mentally after the first few. But, it gets better every day. Your confidence will grow quickly, it will become less stressful, and your stamina will increase. Stay out of trouble... Don't hit anything... You'll be fine. When I met my trainer, the first thing he asked me was "are you suicidal?" I replied, "not at the moment." And he said, "okay, then I trust you. You'll be doing all the driving this week." Well, that first night after about 6 hours of stressful driving I felt like I had gotten to a point where it might not be safe for me to continue. I told my trainer and we switched seats. No big deal. He expected that to happen, actually. Went home, slept like a rock, went back the next day knowing better what to expect and it went much better. You're young. You'll get used to quickly. Just be careful... Don't hit anything! "My stepfather used to pay his drivers by the hour (local rock haulers) out of a quarry we owned and consequently had to spend quite a bit of time, running up and down the highway to make sure they weren't sitting parked somewhere when they shouldn't be." This isn't "other than money" but, I am loyal to a company that treats me as though my time is valuable. If a driver is sitting for reasons out of his/her control my company or its customers compensates for that time. Had a flat tire a few weeks ago. Sat 3 hours waiting for replacement. Next paycheck had 3 hours extra pay for that time. Never had to say a word about it. That sort of thing fosters loyalty in me. Most of it boils down to being compensated fairly for the time and effort I give. 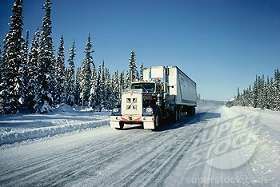 Would you go back to trucking weather it be otr/local??? If not why not??? I understand retiring but you gotta get the urge every now and then... Just would like to know if you would or wouldn't... Oh and let's add if you would who would you drive for??? I bet his answer will be ... "Yes, but only as an owner-operator." Yeah, it ain't what it used to be, but I can see how it might be attractive to some. It adds some dimensions to the "lifestyle." Although Schneider has a tanker operation about 30 mins from me, and i thought I could see some of the country with them. Anyone have any thoughts about Schneider? Schneider Bulk.... I've heard nothing but good things. Top notch training, great money, ... they take good care of their tanker drivers, I'm told. Oh Deer Me - Watch Out! -Times of highest risk of deer collision is between dusk to dawn. -At night, drive with high beams on whenever there is no oncoming traffic. The lights cause deer's eyes to glow, making them more visible. High beams also help you see farther, giving you more time to react if there is a deer on/near the road. -Don't leave your lane of travel by swerving to avoid hitting a deer. This could result in loss of control and/or hitting another vehicle. Swerving is the reason for most deer related deaths and injuries. -If a deer collision occurs or is imminent brake firmly and keep the steering wheel straight. -They often move in groups, so if you see one deer be prepared for others that may be following. In addition to hormones, hunting season and crop harvesting also cause deer to be on the move and behaving recklessly. Up here in Indiana and surrounding states, data suggests there is a 21% greater likelihood of being involved in a deer related crash this year than last. Yeah, that's pretty much the way I'm looking at it. While right now I'm willing to walk away from anything that doesn't work for me, I still need medical benefits. Medicare doesn't kick in until 65. So while I could fool around a bit for a while, I'm eventually going to have to find something that works for a few years, maybe as much as 8. And as it looks, it won't be over the road. If I were in your shoes (no wife, grown kids) I would want to give it a try... but that's just me... the OTR lifestyle is appealing to me. I would guess that most of the larger OTR carriers provide benefits comparable to "local" companies. They just don't pay as well for the hours you put in... but, if you run hard you might make up the difference. From my research, contrary to what was said above, Prime would be a good company to start OTR with... they're one of the better paying "starter" companies. Crete is another one. And, if you really want to go all in, and fully embrace the lifestyle, ... what about becoming an owner operator?